It's the most wonderful time of the year at the Disneyland Resort, with a tree on Main Street and Sleeping Beauty Castle covered with snow. This is also the week of media events and travel agent tours, as Disney looks to showcase the parks in their most festive light. 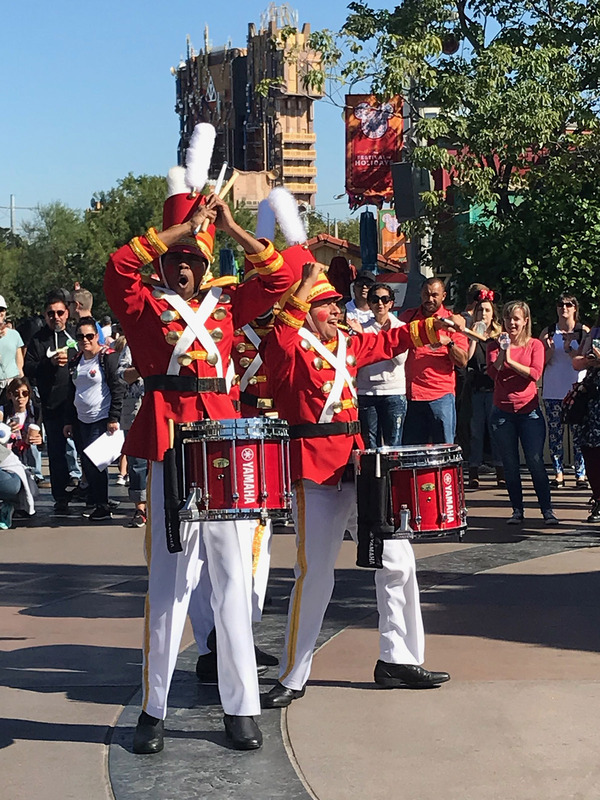 The Holiday Toy Drummers perform at Disney California Adventure. Photo by Adrienne Vincent-Phoenix. All day today, keep an eye on MousePlanet's Instagram and Twitter pages, as Todd Pickering brings you photos and video directly from Disneyland and Disney California Adventure. Disney California Adventure's Festival of Holidays returns for 2018, with over 60 different food and drink selections to choose from. The "Sip and Savor Pass," previously available only to annual passholders, is now available to everyone. The passport provides eight tasting portions of select food and beverage items from participating Festival Marketplace stalls. All food items and non-alcoholic beverages from those stalls are included. The pass is $49 for passholders (a $4 increase from 2017), and $54 for everyone else. The passport itself is a plastic credential with eight snap-off tabs, strung on a lanyard. Passholders get a different lanyard with an AP logo. Passholders also receive a different button each time they redeem a tab, and so can collect a series of eight once they redeem the whole pass. As always, you have to really pay attention to get the best value from this pass. The average price of the items you can purchase with this pass is $6.50, or $52 for eight items. However, sales tax is not applied to the price of the lanyard, but is to the food items, so you also get an 8 percent advantage when you use the pass because you won't pay sales tax when you use them. If you use all eight tabs to purchase one each of the eight most expensive items at the festival, at best passholders save $14.00 (plus tax) compared to paying cash. Non-passholders would save $9.00 (plus tax). However, every $4.50 dessert or beverage you buy with a tab eats into that savings. The Sip and Savor Pass is valid for the entire festival, so you can use it to try new dishes throughout the event. However, passholders should be sure to pay attention to the block out dates on your pass, so you use up all of the tabs before your holiday blockout period begins. This week brings the countdown to Mickey Mouse's 90th birthday on Sunday, November 18. At Disneyland, "Mickey & Minnie's Birthday Celebration" is scheduled to take place at 11:45 a.m. Sunday morning, with a special moment in front of Sleeping Beauty Castle. With all of the marketing thus far focused on Mickey Mouse, it's nice to see at least a nod that this is also the 90th anniversary of Minnie Mouse (Peg-Leg Pete is widely ignored in these annual celebrations). On Saturday and Sunday, Mickey fans can indulge in a menu of sweet and savory treats from Disneyland and Disney California Adventure, with Toontown seemingly the hub for many of the creations. The longest lines will likely be for the Mickey Mouse Sipper cup, available only on Sunday, November 18. Look for it at quick-service locations in both parks. 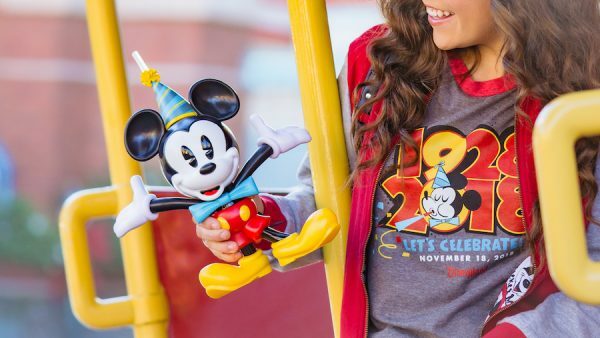 This Mickey Mouse sipper is available only on Sunday, November 18. Disney photo. Mickey and Minnie Mouse Birthday Cake Ice Cream Sundae – two scoops of birthday cake ice cream topped with a brownie, hot fudge, whipped cream, cherry, and sprinkles served in a Mickey or Minnie Mouse Kitchen Sink; available at Disneyland park (Gibson Girl Ice Cream Parlor) and Disney California Adventure park (Clarabelle’s Hand Scooped Ice Cream). Mickey Mouse Birthday Cake Crisped Rice Treat – three-layered crispy treat fruity cereal and Mickey-shaped sprinkles; available at Disneyland park (Refreshment Corner, Main Street U.S.A. Fruit Cart and Coffee Cart, Troubadour Tavern, all Toontown quick-service locations), Disney California Adventure park (Pacific Wharf Gourmet Cart, Pacific Wharf Café, Boardwalk Pizza & Pasta), Disney’s Grand Californian Hotel & Spa (Holiday Cart), and Disney’s Paradise Pier Hotel (Surfside Lounge, Sand Bar). Mickey’s Birthday Churro – warm churro rolled in birthday cake sugar and served with confetti icing; available at select Churro Carts across Disneyland park. Mickey’s Celebration Churro – warm chocolate churro topped with cookie butter and Mickey confetti and served with a side of red marshmallow cream and Mickey buttons; available at select Churro Carts across Disneyland park. Mac ‘N Cheese Foot-Long Hot Dog – foot-long hot dog on an Italian roll topped with creamy mac and cheese and bacon bits; available at Pluto’s Dog House. Mickey and Minnie Mouse Birthday Frozen Yogurt Sundaes – topped with confetti sprinkles; available at Clarabelle’s at Disneyland park. Mickey Mouse Pizza – choice of pepperoni or cheese Mickey-shaped pizza; available at Daisy’s Diner at Disneyland park. Cookies and Cream Beignets – available at Mint Julep Bar at Disneyland park. it appears that Disney-endorsed candidates again have a majority on the Anaheim city council. Disney-backed candidates Jordan Brandman and Trevor O’Neil won two of three available city council seats. Disney also backed the campaign of former council member Harry Sidhu, who won his bid to become Anaheim's mayor. The three will join council member Lucille Kring on the seven-person council. While Anaheim now has a Disney-friendly council, Measure L may throw a wrench in Disney's future development plans. The living wage initiative, which mandates certain employers within the Anaheim Resort district to pay workers at least $15 per hour, appears to have squeaked out a narrow victory. Though the Orange County Registrar of Voters has until December 6 to certify the results, opponents of the measure conceded defeat Monday morning. As written, Measure L applies only to Anaheim Resort district businesses that receive tax breaks from the city. After Disney voluntarily withdrew from two tax rebate agreements in October, the Anaheim city attorney issued an opinion saying the measure would not apply to Disney should it pass. Proponents of the measure have threatened to take the matter to court. For its part, Disney has previously said it will look outside Anaheim for future development opportunities if that initiative passes. Meanwhile, Disney has already reached agreements with unions that represent more than a third of all hourly workers, to raise minimum wages to $15 by January 1, 2019, including a deal with the union that helped qualify Measure L for the ballot. With a legal battle almost certainly looming to determine whether Measure L applies to the Disneyland Resort, even a Disney-friendly city council may not be enough to get the canceled fourth hotel project back on the drawing board. All this week, keep an eye on the blog, Facebook page and Instagram feed of MousePlanet sponsor Get Away Today for your chance to win one of over 60 vacation themed prizes. Enter to win prizes including 2-night hotel stays at Disneyland Resort-area properties, souvenir packs and theme park tickets. 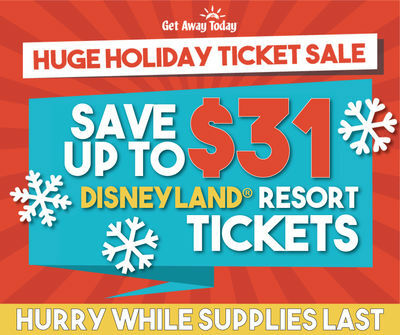 Get Away Today has also expanded their holiday ticket sale, offering discounts of up to $31 off multi-day Disneyland Resort Park Hopper Tickets for the rest of 2018. While supplies last, save on all multi-day Park Hopper tickets, valid for travel through the end of 2018. Holidays at the Disneyland Resort are on now, so this is your perfect opportunity to experience the magic of the season and save. 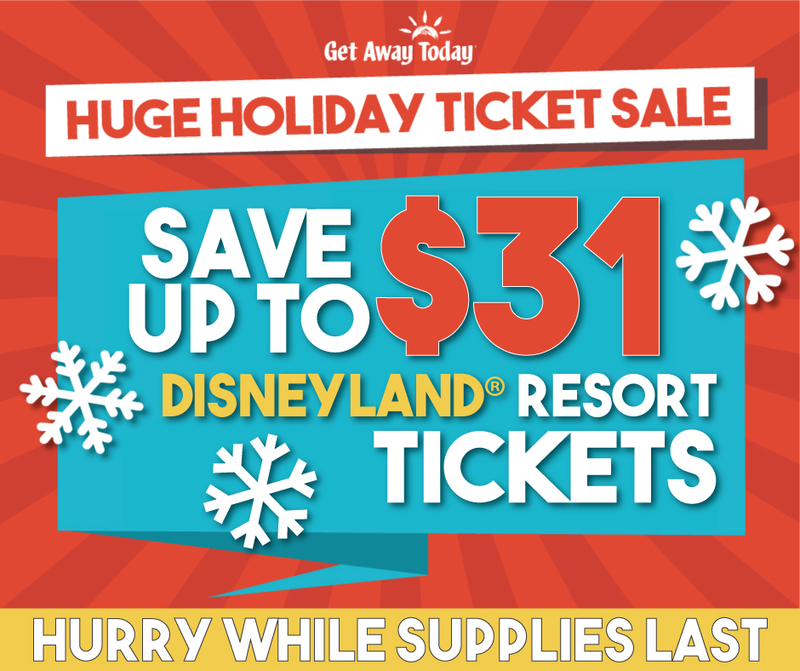 Save on Disneyland Resort Park Hopper tickets when you order from Get Away Today. New bookings only. Not valid with any other ticket offers. Tickets must be used by December 31, 2018. Disneyland candy canes were once one of those little Disney gems, known to only a small group of fans. Social media helped spread the word, but it was a Food Network special that really made these scratch-made treats famous. In 2014, Disney expanded the offering to Trolley Treats, and doubled the number of days they are available. For 2018, Disney has added even more dates, with candy canes available a whopping 28 days between Thanksgiving and Christmas Day. Whether it's the deceptively simple recipe (the candy canes made in-park contain no preservatives) or just the charm of watching candy makers cook, pull, and shape the canes in front of you, people will eschew the readily available premade canes and wait hours to get one fresh from the kitchen. Candy makers work in a hot, humid room to produce up to three batches a day, guarding against stray grains of sugar that can cause a batch to crystallize and be ruined. Once cooled, the canes are sheathed in plastic and wrapped in bubble wrap, and sold to a crowd of eager customers. Disney now issues wristbands at the candy location on candy cane days; plan to get there at park opening to snag one. Each color-coded wristband corresponds to a batch. If you don't want to watch the candies being made, managers will tell you when to come back to claim your treat. In all cases, you must return by the time specified by the location, after which unclaimed candy canes are sold on a first-come, first-serve basis. No discounts apply, and there is a limit of one candy cane per person. Disney says that "All candy canes sold will be made fresh at the Disneyland Resort." ...Wetzel's Pretzels in Downtown Disney is now slated to reopen Saturday, December 1. Matterhorn Bobsleds – closed for refurbishment through November 15. Mark Twain Riverboat – closed for refurbishment through November 16. Wetzel's Pretzels – closed for refurbishment. Reopens December 1. Mickey Mouse's 90th birthday – Sunday, November 18. Celebration cavalcade planned to commemorate the day, and a special moment at Sleeping Beauty Castle.